Dr. MariCarmen Gil Ortega is a senior lecturer in Virtual Worlds at the University of the West of England. 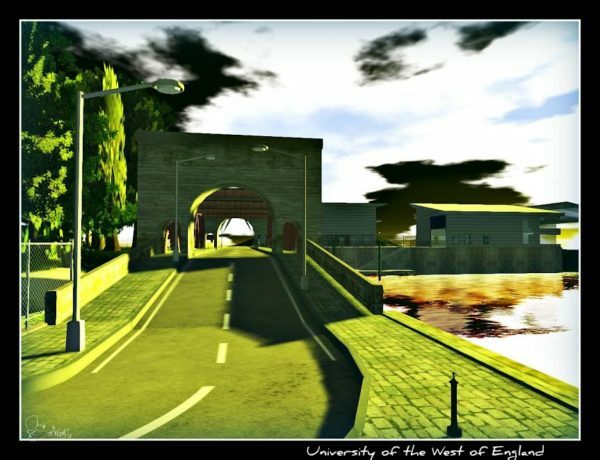 You are a senior fellow for the Higher Education Academy and program leader for the MA Education in Virtual Worlds at Education Innovation Centre of the University of the West of England. How did you get started and what inspired you? 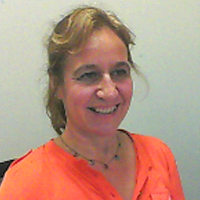 MariCarmen Gil Ortega: My background is in languages and linguistics. For years I taught Spanish at higher education level. In this discipline you always have to be creative and up to speed with the latest technological advances in order to make students’ language learning experience relevant and authentic. My doctoral work was along this area. I researched on the language issues faced by a group of international students whose native language was not English, and designed computer-mediated solutions to their academic writing problems. This was the beginning of my career exploring technology-enhanced learning. Years after, I came across virtual worlds. It was a day I was snowed in and couldn’t get to work. A colleague from the e-learning group to which I belong suggested to meet up in Second Life. Everything was unfamiliar. I was getting lost and didn’t know very well how to navigate around that world. My social encounters there appeared weird and unnatural. To me, it was almost like being in a foreign country where you don’t yet know the correct etiquette or behaviors to use and it all needs to be learned again. At the time, I was lecturing in Spanish. I was the placement officer, with responsibility for preparing students for their year abroad. I thought virtual worlds like this could be a very useful tool to help with their preparation. Students would try to navigate this unfamiliar environment where there was, potentially, the chance to meet a pool of native Spanish speakers, from all the different varieties of the language, to chat to either using voice or text. I got some funding to carry out research on how helpful these environments would be to aid the preparation of students for their year abroad. The results were impressive. Not only students improved their linguistic skills, they also learned a lot about the socio-cultural context of the Spanish-speaking countries where they were about to live and study in. For example, they had the chance to participate in the The Day of the Dead celebrations in virtual Mexico or have a virtual meal in the Spanish town of Gijon and many other activities that were relevant. However, the most striking factor is how much students felt their confidence had been boosted. They now feel ready to travel abroad and facing the challenges in the real physical environment. Image courtesy MariCarmen Gil Ortega. Can you tell me more about your role at the Education Innovation Centre? Gil Ortega: I’m the program leader for the MA Education in Virtual Worlds, which has been running for the last five years and it’s now coming to an end with the last cohort graduating in November this year. They are currently working on their dissertations and projects. The outcome from this program has been excellent and given us huge satisfactions. We have been able to bring together groups of specialized professional people, mainly educators, developers, instructional designers and therapists from all over the world working in the same virtual space synchronously exploring, reflecting and discussing on how to make the most of the affordances of the environment for teaching and learning. We had students involved and working on this program from Japan, New Zealand, Australia, Argentina, Canada, Saudi Arabia, the USA, Germany, Greece and the UK and collaborated with universities across the paddle such as the University of Washington and Arkansas State University. From the Education Innovation Centre, I have overseen the development of this program. I have also taught in it and made sure the student experience was optimal in it and that it would become a good platform to develop their career paths. I also carry out research in the area of virtuality in education and supervise PhD students who are carrying out work in this field. I also work on staff development and encourage and train staff and other educators to use virtual reality, virtual worlds, augmented reality and other technologies for teaching and learning. Image courtesy University of The West of England. You are editor and regular reviewer for journals such as the International Journal of Gaming and Computer-Mediated Simulations, the Journal of Technology, Knowledge and Society, the Journal of Virtual Worlds Research; can you tell me more about this work?? Gil Ortega: Working as an editor and reviewer for journals in the area gives me the opportunity to being up-to-date with current work that is being carried out in the field. It shows me the great range of possibilities for the use VR technologies in education. I can see other people’s creativity, and it is amazing. Examples of best practices and excellence in research keep coming my way. A lot of these illustrations are written by women and it is very encouraging to see how women are developing fast in an area of research where, unfortunately, the number of women continue to lag behind the number of men. This gender gap still persists to a greater degree than in other areas, that’s why it’s so wonderful examples of rigorous scientific research carried out by women and being a witness of how this gap keeps being reduced. Image courtesy University of West England. 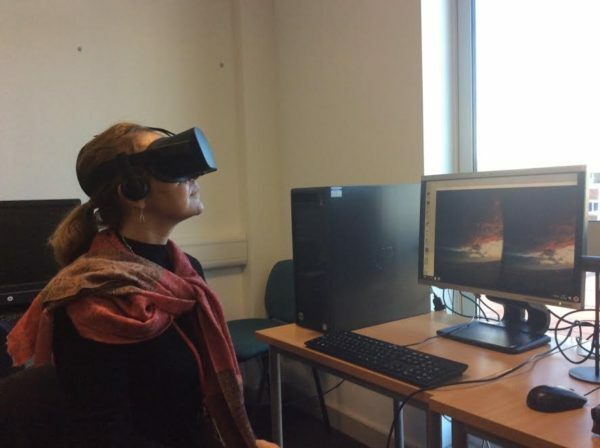 You have more than 20 years’ teaching experience in UK universities and you have been teaching and researching immersive environments and virtual reality, what advice do you offer girls and women interested in virtual reality? Gil Ortega: Women are needed and wanted in VR and not only that, the inverse statement is also true, women need and want to be in VR because it is important for them to be represented in this new and growing field. We want to create virtual spaces that are equal and reflect equality and in order for it to happen we need to have an input. One of my PhD students is researching gendered geographies and making a comparative case study of spatial practices and power relations of two online games. Her research is expected to contribute to the understanding of the geographical exploration of virtual worlds and their construction and the development of new approaches to gender and place through online investigation, filling a gap in both, Gender Geographies and Virtual Geographies. I think it’s immensely important for young enthusiastic and strong women like her to carry out research in this field and understand how women’s contribution to it is essential for total inclusion and gender equality in the virtual sphere. Gil Ortega: I’m concentrating my efforts on trying to find collaborations to apply for external funding to carry out projects in education that will use VR technologies. 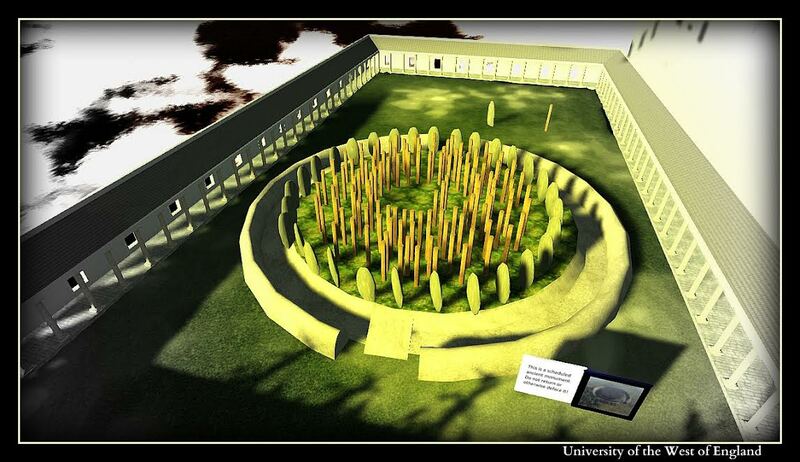 I am part of a group preparing an Arts and Humanities Research Council proposal to research 16-24 year old engagement with heritage by using a visualization of the Neolithic stone circle in Avebury. 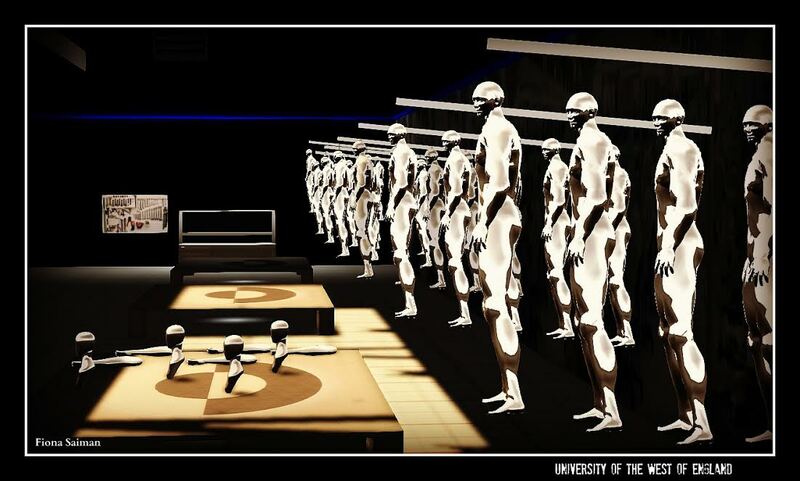 This visualization is currently under construction at the OpenSim. I’m also writing and contributing with publications in this field. At the moment, I’m preparing a chapter for a book on flexible pedagogies. This chapter is dedicated to communities of practice in virtual world environments. I am also co-editing, with colleague Prof. Liz Falconer from the University of Bournemouth, a book with the title Virtual Worlds: Concepts, Applications and Future Directions. I have also a couple of reviews in mind one on the uses of VR and other immersive technologies in education and the other on the role of women in VR. I also keep present and up-to-date in the field by attending and giving presentations in VR events. My next talks will be at the VR World Congress in Bristol in April and the VRWorld event in London in May this year.